Pre-order "Stop Wishing. Start Winning. 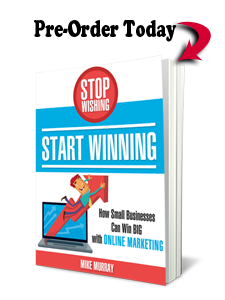 How Small Businesses Can Win Big with Online Marketing" today for $7.99 and save $1. The book will be available July 1.